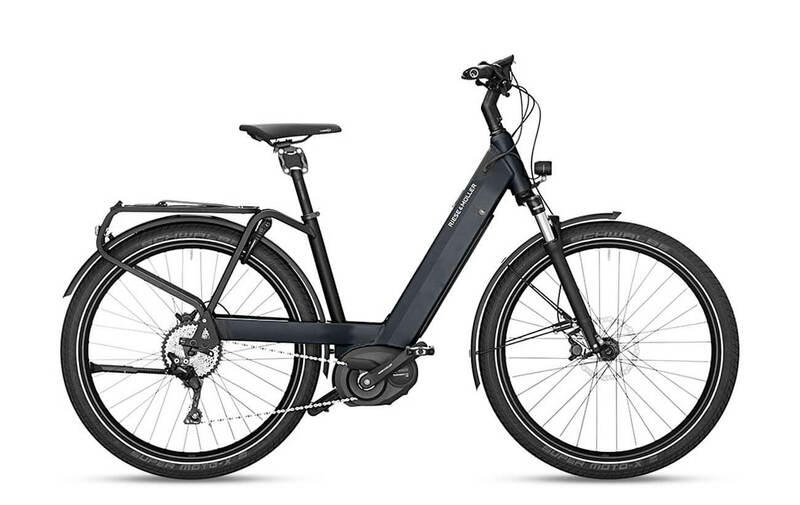 The Riese & Muller Nevo GT Touring whether on a long tour or in the city: the Bosch Performance CX motor and lightweight and efficient Shimano Deore XT 11-speed derailleur gear provide pure riding pleasure wherever you go. The Control Technology with full suspension ensures safe road holding and maximum riding comfort even over long distances. The hydraulic Magura MT4 disc brakes and the Schwalbe Super Moto-X Fat tires ensure even greater safety. The extremely bright 1,250-lumen Supernova M99 Mini front light turns night into day. Also, check out the faster version Riese & Muller Nevo GT Touring HS. Motor: The Riese & Muller Nevo GT Touring comes with Bosch Performance CX. 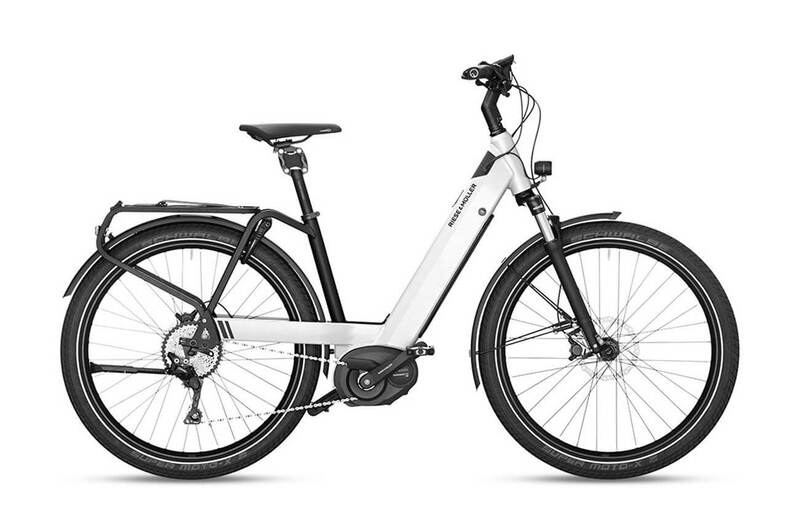 The Bosch Motor riding sensation creates a unique electric Bike experience. It features three sensors, it measures pedaling power, cadence, and speed more than 1000 times per second. 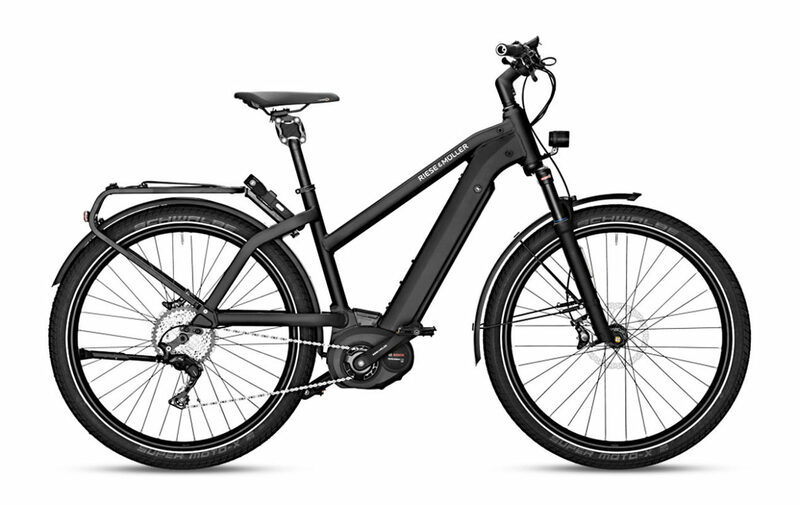 This enables the rider and the electric Bike to interact with each other organically. Brakes: The Riese & Muller Nevo GT Touring is equipped with Magura MT4, disc brakes. They provide very reliable stopping power, these brakes are low-maintenance and easy to control. Top Speed: The Riese & Muller Nevo GT Touring provides ample speed with a top speed of 20mph (32 km/h). If you’re looking for more speed, check out our fast electric bikes. 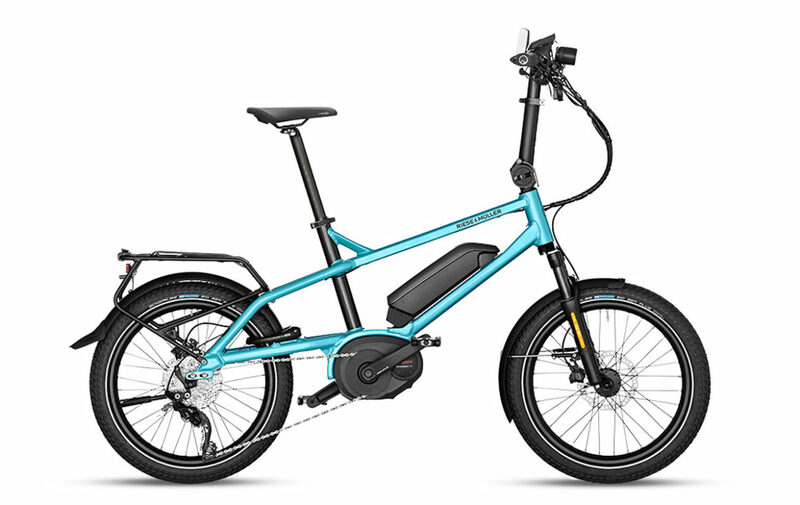 Accessories: This bike comes with the standard Supernova E3 E-Bike Headlight and Busch & Müller Toplight 2C LED tail light, it also comes with Pletscher Comp 18 Flex Kickstand, and Billy Bell. Our team has a lot of experience outfitting bikes with additional accessories, so be sure to reach out to us if there’s anything you may need.